(CNN) - A neighborhood watch captain accused of killing an unarmed teen goes on trial Monday, in a case that sparked fresh debate about race relations and gun laws. George Zimmerman is accused of fatally shooting 17-year-old Trayvon Martin on February 26, 2012, in Sanford, Florida. Martin was black, and Zimmerman identifies himself as Hispanic. Zimmerman is charged with second-degree murder. He says he shot the unarmed teen in self-defense. In a CNN poll released Monday morning, 62% of respondents say the charges against Zimmerman are probably or definitely true. Opening statements begin Monday and are expected to last several hours. A jury of six women will decide Zimmerman's fate, which has already drawn some scrutiny from the public about whether he will get a fair trial. Martin's parents will be in the courtroom, and are expected to deliver a statement before the proceedings begin. Washington (CNN) - The Supreme Court on Monday tossed out a provision in Arizona's voter registration law that required proof of citizenship. The 7-2 majority said the state's voter-approved Proposition 200 interfered with federal law designed to make voter registration easier. The state called the provision a "sensible precaution" to prevent voter fraud. Civil rights group countered that it added an unconstitutional and burdensome layer of paperwork for tens of thousands of citizens. Justice Antonin Scalia said the National Voter Registration Act of 1993 "forbids states to demand an applicant submit additional information beyond that required by the federal form." But in a nod to state authority, Scalia said the federal law "does not prevent states from denying registration based on any information in their possession establishing the applicant's eligibility." The appeal was a classic federalism dispute, on the often delicate line between conflict and cooperation between state and federal governments over enforcing voting procedures. During last year's election, there were numerous court challenges to state voter identification laws at the polls. The current fight has produced a range of states, lawmakers and advocacy groups on both sides on the gateway issue of registration. The Obama Justice Department opposed the Arizona law, which went beyond what other states have done to ensure integrity in the registration system. (CNN) - Civil rights groups filed a complaint this week against a federal judge in Houston after she allegedly said during a lecture that some minorities are prone to violence. Judge Edith Jones, who serves on the 5th U.S. Circuit Court of Appeals and was a Bush-era Supreme Court frontrunner, allegedly made the comment while speaking on the death penalty to The Federalist Society at the University of Pennsylvania in February. The Federalist Society describes itself on its website as "a group of conservatives and libertarians interested in the current state of legal order." In her remarks, Jones also is alleged to have said race plays no role in the administration of the death penalty, but certain ethnic groups commit certain types of crimes more often than others. Civil rights groups, including the J.L. Turner Legal Association, say Jones' comments reveal a strong ethnic bias. They are pushing for an investigation that could lead to her removal from the bench. The J.L. Turner Legal Association is an African-American bar association in Dallas. Its president, Mandy Price, told CNN that some attendees were shocked at what they heard and later complained. "The reaction in the room when she made these remarks was one of shock, surprise, and offense," according to one account that the legal association collected from some of the attendees. The Federalist Society itself, however, called the allegations "frivolous accusations." Why is ad featuring multiracial family causing stir? (CNN) - The leader of the free world is the child of one black parent and one white parent. 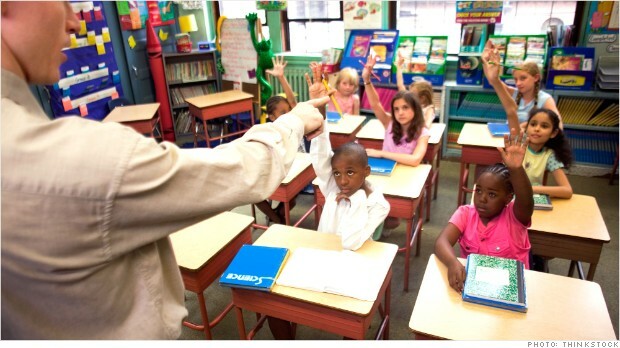 The number of Americans who identify as "mixed race" is on the rise. And this year marks the 46th anniversary of the Loving v. Virginia Supreme Court decision, which made interracial marriage legal in the United States. So why is a Cheerios ad featuring a multiracial family causing a stir? The commercial features a curly-haired brown girl inquiring of her Caucasian mother and African-American father about Cheerios' healthy attributes. "Mom, Dad told me that Cheerios was good for your heart. Is that true?" she asks in the commercial, titled "Just Checking." Adweek reports that YouTube comments made "references to Nazis, 'troglodytes' and 'racial genocide' " before they were disabled. I just saw your commercial representing a beautiful mixed family, and I am appalled that hateful people are in such a frenzy over what is a modern family structure. I applaud you and your efforts to acknowledge families with an untraditional structure, and there needs to be more mixed race, minority, adoptive & non-heteronormative families represented in media. Thank you again, and even though I do not eat cereal (my brother loves Cheerios BTW) you can be sure that whatever future child I am blessed with, may probably be mixed heritage, and will be enjoying your product. More like single parent in the making. Black dad will dip out soon. Reddit featured a link to the commercial on its homepage Thursday, also drawing a range of responses. Granted, the comments section of the Internet is rarely a reliable space for reflective or thoughtful discourse on race in America. But the range of reactions to an ad that incidentally highlights a multiracial family might be the start of a discussion on how the American family is seen and portrayed. What do you think: Is the commercial long overdue or much ado about nothing? The emblem of the Los Angeles area-based Chivas soccer team is pictured above. 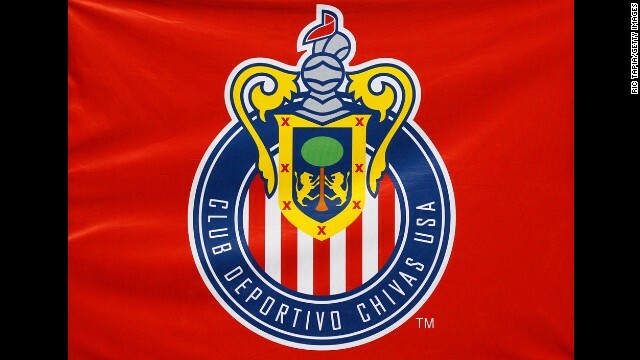 Los Angeles (CNN) - Two former coaches have sued Major League Soccer team Chivas USA, claiming they were fired this year because they are not Latino. Daniel Calichman and Theothoros Chronopoulos, who worked in the team's "academy," or player development, program, accused team owner Jorge Vergara Madrigal of Mexico of enacting a Latino-only employment policy, according to a lawsuit filed in a Los Angeles County court. Calichman and Chronopoulos, who are both white, also accused Vergara of implementing a discriminatory practice that was carried over from Chivas de Guadalajara, a pro team in Mexico owned by Vergara that allegedly has hired only Mexican soccer players since 1908. The two men, both former pros and members of the U.S. national team, are seeking unspecified damages for discrimination, harassment, retaliation and wrongful termination, their attorneys said in a statement Wednesday. The team fired the two coaches "as part of an ethnocentric policy and practice of discriminating against and terminating non-Mexican and non-Latino employees," the suit alleged. (CNN) - Arizona lawman Joe Arpaio has required prison inmates to wear pink underwear and saved taxpayers money by removing salt and pepper from prisons. He has, at times, forbidden convicted murderer Jodi Arias from speaking to the press. The stern Maricopa County Sheriff has said the federal government will not stop him from running his office as he sees fit. But on Friday it did. A judge ruled Friday that Arpaio's routine handling of people of Latino descent is not tough enforcement of immigration laws but instead amounts to racial and ethnic profiling. Some of those profiled sued Arpaio, and Judge Murray Snow found their complaints to be legitimate. The federal court in Phoenix ordered "America's Toughest Sheriff" - a moniker Arpaio sports on his website - to stop it immediately and has banned some of his operating procedures. The sheriff's office has a history of targeting vehicles with occupants with darker skin or Latin heritage, scrutinizing them more strictly and detaining them more often, Snow ruled. The sheriff's lawyers dispute the judge's conclusion.